The Adams-Clermont Solid Waste District (ACSWD) will be holding discounted Tire Collection Days due to assistance from a grant received from Ohio EPA. 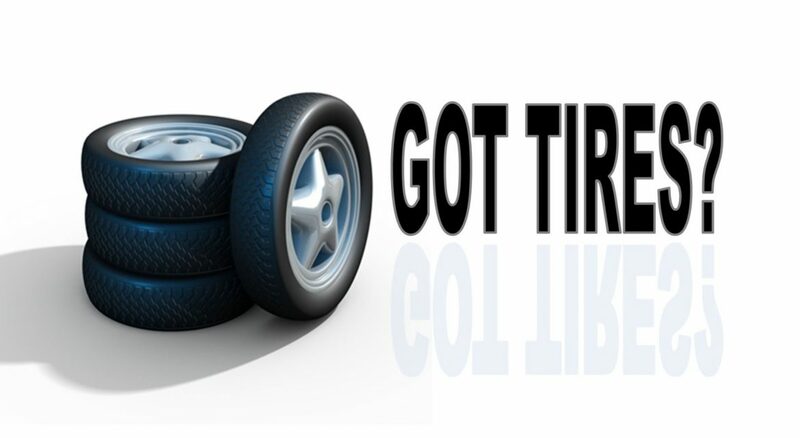 For this event, Customers will be charged $2.00/tire for every tire after the first 10. The first 10 tires are accepted free of charge. We’ll accept passenger, truck, and tractor tires both on and off the rim. Methods of payment include cash or credit card. In 2019, the Collection Days will be held in Adams County at the Adams Waste and Recycling Facility (AWAR), 95 Trefz Rd., West Union, OH 45693, on May 15th from 9:00 am to 2:00 pm. The Collection Day will be held in Clermont County at the Jackson Township Lot, 3341 U.S. Hwy 50, Williamsburg, OH 45176, on May 18th from 8:00 am to 1:00 pm. The Amnesty Days will not collect tires from junk yards, trucking, or other companies, as that would essentially amount to a subsidy of business expenses, but the ACSWD can assist businesses in finding recycling options for proper tire management. Call (513) 732-7894 for more details. Scrap tires lying around a property are aesthetically unpleasing and can pose a health and safety risk by acting as breeding grounds for mosquitoes and vermin. If left in the environment for long periods of time, orphan (abandoned) tires can leach toxic chemicals, such as zinc, heavy metals, vulcanization and rubber chemicals into ground and surface waters. Municipal solid waste landfills won’t collect tires on trash routes and can’t accept them at their landfills. Dumping scrap tires over the hillside or on the side of the road is illegal and harmful to the environment. Furthermore the illegal dumping of scrap tires essentially passes the burden of tire disposal onto someone else (e.g. tax payers). Many citizens are unaware that there are many free and legal options for residents of Adams and Clermont Counties to dispose of scrap tires. If orphan tires have been dumped on your property, the ACSWD can have these tires removed and properly recycled. If you have been the victim of illegal dumping, please call (513) 732-7894 to make clean-up arrangements.